In 1992 life for the 18-year-old first-year Monash arts student took a sudden turn when she bought a small food business. “It was a business that made home-made muesli for a few cafés and delis around Prahran and South Yarra. I worked there one day a week and I loved it. Suddenly life revolved around very early starts and a hectic schedule juggling classes at the Monash Clayton campus with the demands of a small business. Carolyn also dived deeply into student life and her arts majors of politics and sociology. Monash was a good “cultural fit”, because of its reputation for being progressive and its active student life. The growth of Carman's Fine Foods is the stuff of entrepreneurial dreams. Carman's is now the number one selling muesli brand in Australian supermarkets. It exports to 32 countries supplying Qantas and Virgin’s international flights and major retailers such as Tesco in Malaysia, Sainsbury’s in the UK and Whole Foods Market in the US. The business employs 130 staff in Melbourne and manages many more suppliers and contractors. Married with three young children Carolyn prides herself on the balance she maintains between her career and her family. “The core of my philosophy is that we are all in the people game. So if I listen to my customers, if I run a business where people love coming to work, if I’m fair to my suppliers, then I tick most of my personal boxes. "My greatest strength is being a good people person. I’m very engaged when I’m here, but I’m not a micromanager. 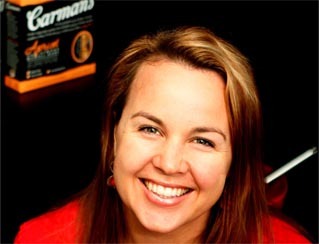 In 2012 she was named Victorian Business Woman of the Year. She went on to win the Telstra Busines Woman of the Year in recognition of her leadership and business success. She also won the Commonwealth Bank Business Owner Award. In early 2013 she became youngest member of BRW's first Rich Women's list with a $55 million fortune. Carolyn is modest about her success. Many would disagree with Carolyn's assessment. From cottage industry to a multinational, trusted Australian brand is success in anyone’s language, particularly considering her youth and inexperience in the beginning. She has learned on the job and believes that because she has done everything herself at one time or another, she can empathise with her staff much more easily about their jobs and problems they may be experiencing. Carolyn has no formal business training, but the experience of university, regardless of the course, was a valuable one, she said. “I had a lot of emotional support from my parents, and through school an enormous confidence, and university gave me the ability to problem solve, research, think outside the square and to be self motivated. Carolyn’s interest in work-family-life balance has led to her appointment to the board of the Victorian Human Rights and Equal Opportunity Commission. She is also a board member of Stephanie Alexander’s Kitchen Garden Foundation, where she combines her professional interest in food with a school program that promotes healthy food and nutrition. “I’ve also got a strong belief that we should eat as a family and I believe in the ritual of sitting at a table with cutlery and talking to the people around you. "Everyone at Carman’s eats lunch together. No eating at your desks. And the secret ingredients? “I’ve got a strong belief that you can have a strong work culture even when the business is growing - it’s about effective communication. "It’s very important to focus on the fact that your life is a journey and that you need to take responsibility for today.